Bookkeeping is a specialist job now since there have been a variety of products and services that need accounting treatment to reflect an accurate, transparent, and integral position of the finances of a business. The Generally Accepted Accounting Principles (GAAP) provides guidance on how transactions related to business are treated and recorded. 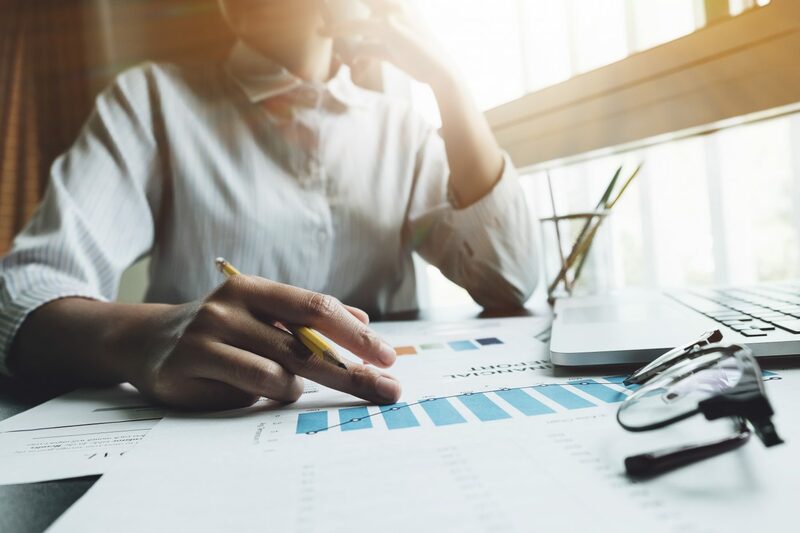 There are also special ways to treat a small business loan and record them in financial statements to provide an accurate snapshot of debts and long term payables of a business. When a business borrows a business line of credit or small business loan from an external lender such as a bank, it is known as a liability. If the small business loan or working capital loan is payable within a year, it is a current liability, beyond a one year period is usually long term debt or long term liability. Short term receivables are also termed as liabilities and should be recorded as loan receivables, or customer receipts. All major accounting standards use double-entry bookkeeping as a way to record transactions. When a loan is approved and issued, the small business will record them as a debit in their loan account, while a credit entry will be recorded as loans payable accounts. Similarly, the bank will create a debit entry of loans receivable, and create a credit entry as a customer deposit account. This shows both customer and the bank or lender have recorded their side of small business loan and will report them in their books. Interest payments are paid monthly, and it results in accrued interests. Accrued interest and interest payments are debited by the business in interest payable account for working capital loans or unsecured business line of credit, while the cash account is credited with the entry of loan interest. Interest payments are credited because it is reducing the interest payments that are due. Loan payments are an important event. They are paid periodically and help make a business stable. Small business loan payables are debited to loans payable accounts, while again the cash account is credited with loan repayment. However, a periodic review is required to ensure that all loan amortizations are recorded. A general ledger is the biggest book that records every transaction before they are distributed in different accounts. The cash account is debited with the total amount of loan first, and short term loan payables or notes payable is credited. If the loan payment is short term and paid within a year, no long term debts and loan repayments are recorded in long term accounts. Apart from general loan payments, the above-mentioned treatments can also be used to record loan stocks, preferred stocks, and bonds. However, this is different from the way common stock and shares are recorded. Because there are dividends paid to ordinary shareholders, and no interests are paid. Moreover, common stock owners are seen as the last debtors when a company files for bankruptcy. For transparent bookkeeping and tax parents, small businesses should apply account treatments accurately and resort to audit for expertise.